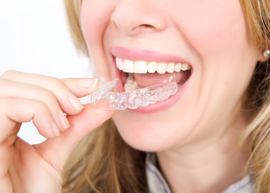 Clear Aligner is a simple affordable series of clear positioning trays, which gently guide your teeth from their present to the desired position. Believe it or not your teeth are always moving, albeit minutely. 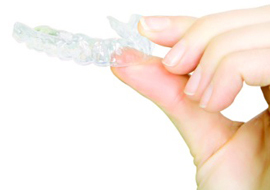 Clear Aligner exerts gentle pressure upon the tooth/teeth in the direction in which you'd like them to move. Virtually everyone. Provided you are over 14 years of age and your dentist considers you orally fit enough for orthodontic treatment, Clear Aligner is for you. Well, in comparison to existing systems Clear Aligner is wire free and does away with the need to bond metal onto the teeth. It is invisible, and removable, allowing you, the wearer, to eat that steak dinner, give that public speech, meet that client without embarrassment or discomfort. You simply remove, brush, floss, rinse and reinsert: Clear Aligner will do the rest.